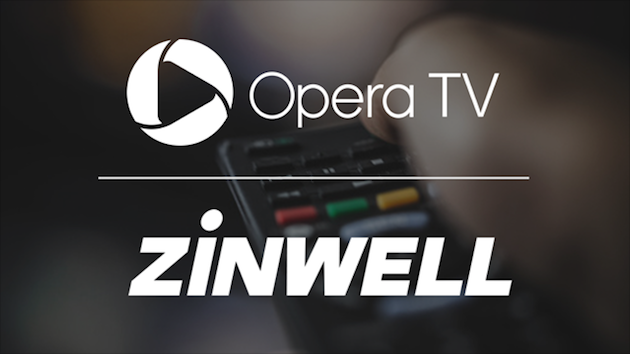 Opera TV and Zinwell today announced a partnership to bring Over-the-Top (OTT) TV capabilities to service provider set-top-boxes in Asia-Pacific. The integration of the Opera TV SDK on Zinwell set-top-boxes will enable service provider partners to accelerate delivery of leading OTT content directly into consumer homes. In addition to its HTML5 SDK for Television, Opera TV also offers a managed cloud platform, the Opera TV Store, that provides a wide selection of popular OTT content from over 1000 different content providers in categories such as broadcast, VOD, lifestyle, music, kids, nature and travel, news and weather, e-gaming, sports and many more both live and on-demand in HD and 4K formats. Opera TV is also a YouTube Certified Partner, enabling the delivery of YouTube content to Smart TVs, Blu-ray players, and set-top-boxes via Opera TV’s HTML5-based SDK.